Here it is, already time for another “we swear it’s completely new” 911, and once again the Germans have proven their mettle in the most difficult of arenas: being able to change nearly everything on a car and still have it look indistinguishable from the previous model. This one is called the 991 (presumably to keep things appropriately confusing) and you’ve probably already seen it on the road. That’s because Porsche saw fit to debut it in limited release in 2012, with the base Carrera and Carrera S changing over to the 991 platform early and Carrera 4, Targa and GTS trims remaining as 997s. That’s all over now, as the 911 is fully 991 for 2013. But what does this mean? It means new everything with the exception of the pistons, crank, steering wheel and parts of the PDK transmission. 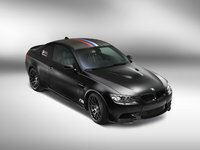 It means a longer wheelbase, wider track, more power and increased efficiency. It means a new interior as well, although with its Panamera inspiration, it’s hard to decide if that belongs in the “pro” or “con” list. But let’s start with that interior, as we already know the engines are superb. There were two big interior gripes with the old 911—the gearknob was too far from the steering wheel, and the pedals were too close together. Both of these have been addressed, with varying success. You may not like that the 911’s interior takes a cue from the Panamera, but you’ll like the new reach to the gearknob. However, some have complained about the “closed-in” feel of the new cockpit, and despite 4 inches being added to the wheelbase and 2 inches to the track, there’s still not enough room in the footwell to comfortably operate 3 pedals. A shame, as the new 911 comes with a 7-speed manual transmission to match the 7-speed PDK. The lack of space is enough to recommend the PDK over the traditional manual, something I’m not sure I’ve ever done. But that’s the new 911—digital demon rather than mechanical monster. The 991 gets a new active chassis control system (PDCC), a new torque-vectoring system (PTV) and even electro-mechanical power steering. I suppose 50 years of unintended pirouettes is enough to motivate anyone to introduce some technological tethers. At least they still let us hold the wheel. Of course, with the new 3.4-liter boxer 6 offering 350 hp and 287 lb-ft of torque in the base Carrera, a modicum of restraint is a good thing. The 911 of 50 years ago was a bit less stout, shall we say? 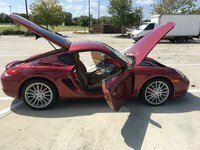 Even here, with a drop of 0.2 liters, the engine is lighter and sports a 5-hp bump over the 3.6, with Porsche claiming greater efficiency as well—16% greater efficiency, to be Porsche-precise. Still, you’ll be able to hit 60 mph in less than 4.5 seconds, and that’s no trade-off at all. If your needs put your 60 goals around 4 seconds flat, the 400-hp 3.8-liter engine in the Carrera S will get the job done, again with increased efficiency and decreased emissions. And if you’re still not satisfied, there’s a Power Kit being offered as an option that includes a new ECU profile, a modified cylinder head with a more aggressive camshaft profile and an extra intake flap for a different sound—because you can’t just be faster, you must sound faster. And at 430 hp, both will be true. To handle the extra power, Porsche saw fit to add another center radiator, and the whole package comes bundled with the Sport Chrono and Sport exhaust, so expect to pay dearly for the bump. The only 911 that has yet to cross over into 991 territory is the Turbo, which comes as a special edition for 2013—the limited “918 Spyder,” which will be produced in a short run of…918. Of course, you won’t even get a chance at one unless you’ve also ordered the 918 Spyder Hybrid supercar, an option most won’t have to struggle with. So take a look—this is what a 911 that’s 90% new looks like. New lights, new windshield, more aluminium, larger wheels and more. And it’s still the 911 we know and love. Except it’s not. It’s a new animal, something not considered upon the car’s conception. Whether it’s the 911 you want to drive is up to you—it’s the 911 we’re getting from now on. 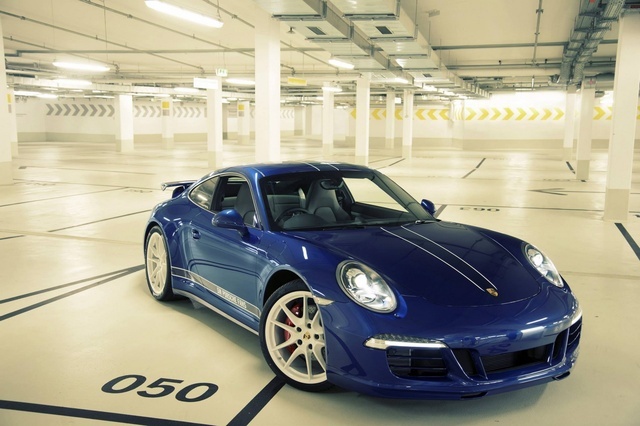 What's your take on the 2013 Porsche 911? Users ranked 2013 Porsche 911 against other cars which they drove/owned. Each ranking was based on 9 categories. Here is the summary of top rankings. Have you driven a 2013 Porsche 911? Why Wouldn't The Sound Work On My 2013 911. The PCM CDR31 works but no sound comes out. 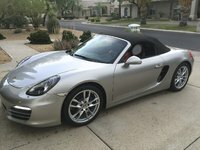 My 2013 911 C4s Stalled Twice After Putting Gas In It?